Here’s what’s up in the world of TV for Tuesday, August 13. All times are Eastern. Heroes Of Cosplay (Syfy, 10:30 p.m.): In its ongoing attempt to chronicle all aspects of geek culture, Syfy at last arrives at cosplaying, giving the docuseries treatment to the superfans who invest tremendous time, effort, and money into embodying fictional characters. Suffice it to say, the work on display in Heroes Of Cosplay looks more like this and less like this, because wrapping yourself in crate paper and packaging tape doesn’t make you a “hero.” (We think Stan Lee wrote that.) Once she’s decided on which Star Trek character to cosplay, Caroline Siede will have the review. Pretty Little Liars (ABC Family, 8 p.m.): This week in otherwise innocuous, but probably portentous Pretty Little Liars plot summary: “Mrs. DiLaurentis asks Emily to move into Alison’s old room.” Are there bunk beds? Joe Reid suggests turning down the offer if bunk beds aren’t part of the deal. 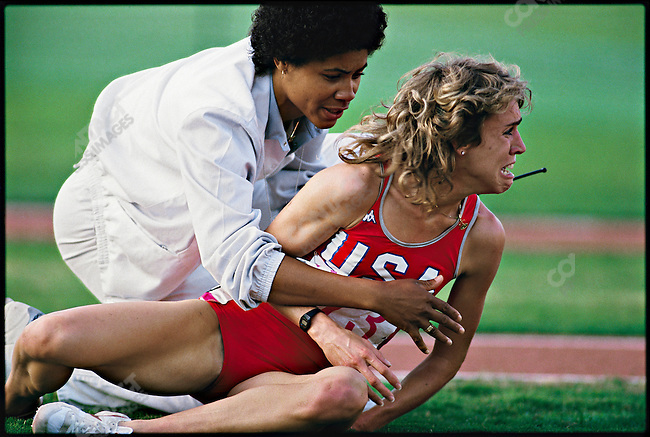 Nine For IX (ESPN, 8 p.m.): The race that defined the career of American distance runner Mary Decker is summed up in one of sports photojournalism’s most evocative images—but Runner director Shola Lynch gave herself more than a single frame to tell of the story and its aftermath. Typically digesting his TV shows as a series of stills, Kevin McFarland is curious about this “motion picture” concept. So You Think You Can Dance (Fox, 8 p.m.): More than any other reality franchise, So You Think You Can Dance takes care of its own—illustrated this week by the all-star contestants from previous seasons returning to collaborate with the current crop of dancers. Of course, this has been a particularly injury-plagued season, so Oliver Sava isn’t convinced that SYTYCD isn’t also trying to destroy its contestants. Suits (USA, 10:01 p.m.): Regular Harvey and British Harvey team up for the Hessington defense, just as it was foretold in ancient scriptures. Or so Carrie Raisler overheard when she spotted Ava kneeling in front of that strange tree. The Shield (Classic) (11 a.m.): If this were any previous season, Brandon Nowalk would be wrapping up another go-round with the Strike Team this week—but season three ran for 15 episodes rather than 13, presumably because the year FX could afford David Mamet was also the year it could afford extra Shield. The Office (Classic) (3 p.m.): Erik Adams will try not to oversell this, but: “The Injury” is the single funniest episode of the U.S. Office—and quite possibly the funniest episode of an American comedy from the past 10 years. Nope, no overselling there. Doomsday Preppers/Doomsday Castle (National Geographic, 9/10 p.m.): The message of NatGeo’s sleeper hit has begun to spread… to other NatGeo shows, with Doomsday Castle continuing the story of a Carolina family girding against an electromagnetic pulse in its very own medieval fortress. If he finds the time between his own bunker-building activities, Todd VanDerWerff will take a look at the season première of the show that begat the phenomenon. Face Off (Syfy, 9 p.m.): Heroes Of Cosplay’s natural companion is this effects-makeup competition, which begins its first all-star season with a 90-minute première tonight. We eagerly await the inevitable crossover, The Justice League Of “Stop Calling It ‘Dress-Up,’ Mom—Geez. Amish Mafia (Discovery, 9 p.m.): You know that sorta-condescending “The fact that you thought this was a real show says a lot about the state of TV” ad campaign launched earlier this summer by a New York PBS affiliate? The promos for the second season of Amish Mafia—premièring tonight—make it look like they’re on to something. Tickle/Porter Ridge (Discovery, 10 p.m.): Actually, let’s amend that: If Discovery’s going to more or less stage a Moonshiners spin-off wherein breakout bootlegger Tickle just “happens” upon a stockpile of booze in the woods, that ad campaign was dead on. Doesn’t mean these shows can’t be entertaining—doesn’t mean that the wannabe Robertsons of Porter Ridge (they have pet bears! And a guy named ‘Danny’ Bob!) aren’t going to endear themselves to The A.V. Club, either. The Godfather, Part II (AMC, 8 p.m.): In case this seemingly sequential sequencing gives you pause: Though AMC showed The Godfather last night, and is showing its superb sequel tonight, that doesn’t mean The Godfather, Part III is lying in wait for you on Wednesday night. (Scarface is.) For now, enjoy the continuing saga of the Corleones as if there is no third chapter—though you probably already do that. Girl Crazy (TCM, 8 p.m.): By 1943, Judy Garland and Mickey Rooney were starting to age out of the old “let’s put on a show” routine. Before they went their separate ways, however, they managed to get in a few more big numbers, aided this time around by Tommy Dorsey and the songs of George and Ira Gershwin. Little League Softball World Series: Semifinal (ESPN 2, 7 p.m.): The winner moves on to Little League Softball’s biggest game—the loser goes home with the satisfaction of making it this far. They probably get some orange slices, too, and maybe a Capri Sun. MythBusters: Breaking Bad: Here’s a myth to bust: Could Phil Dyess-Nugent really keep the inevitable “MethBusters” Freudian slip out of this review? If so, how did he avoid not typing it as a joke?